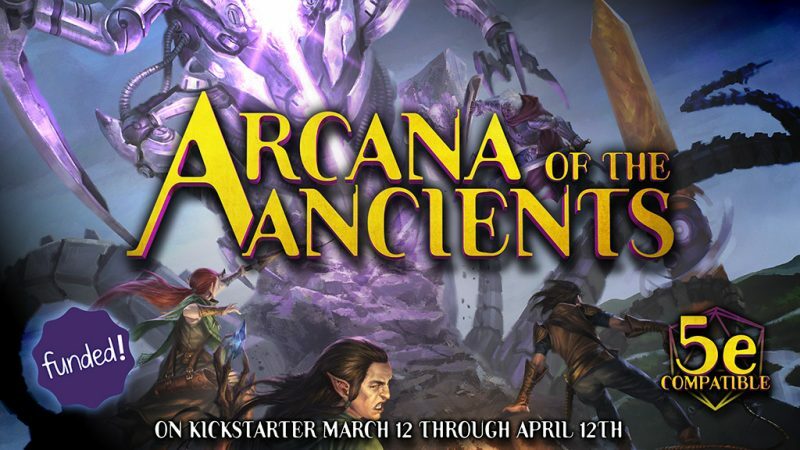 An Awesome Adventure, Quickstart Rules, and Pregenerated Characters Ready to Play! A roiling green desert haunted by invisible beasts. A game that consumes those that play. Faceless automatons from another world, and a tower of living sound. The characters have survived the hijacking of the airship Aelestrian, but can they survive the unknown reaches of the Ninth World in which they find themselves? 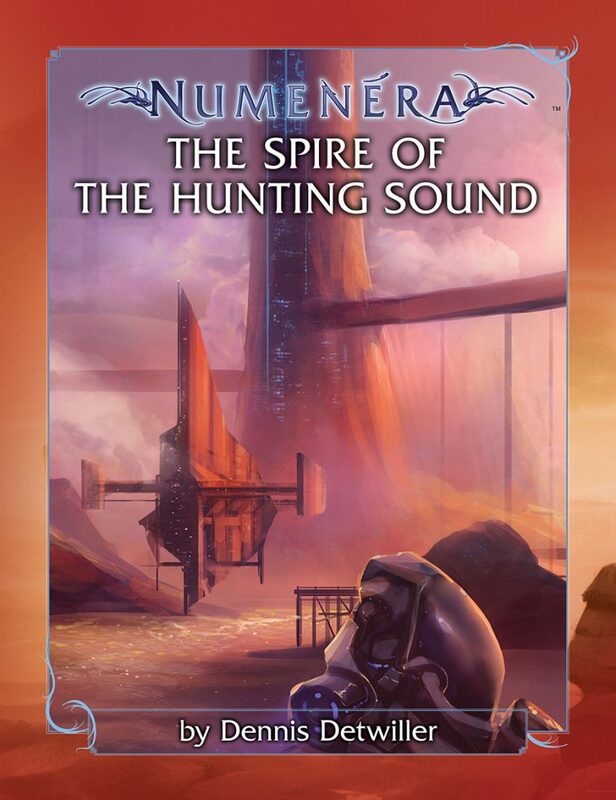 The Spire of the Hunting Sound is a complete adventure—plus complete quickstart rules—for novice and veteran Numenera players. 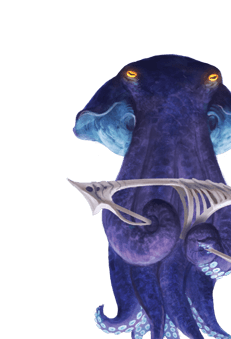 If you’ve never played Numenera, or don’t even own the game rules, you’ll find everything you need (except dice!) to learn, run, and play the adventure. And experienced players will love the adventure itself. 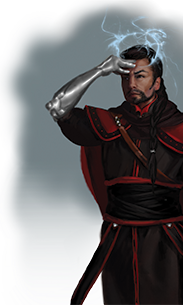 It even comes with a set of five characters, fully pregenerated and formatted to make it easy to learn Numenera. 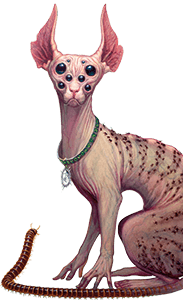 A complete Numenera adventure, filled with the splendor and wonder of the Ninth World. 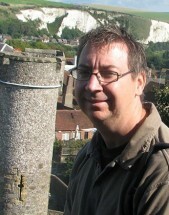 Quick-start rules to get you going, even if you’ve never played Numenera or the Cypher System. 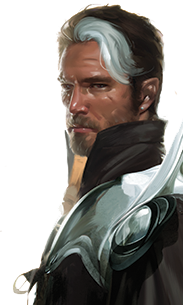 A set of five pre-generated characters in a beautiful and handy format that’s great for novice players as well as Numenera veterans. A mini-bestiary with all the details on the creatures encountered in this adventure. The Spire of the Hunting Sound was the 2017 Free RPG Day adventure for Numenera. 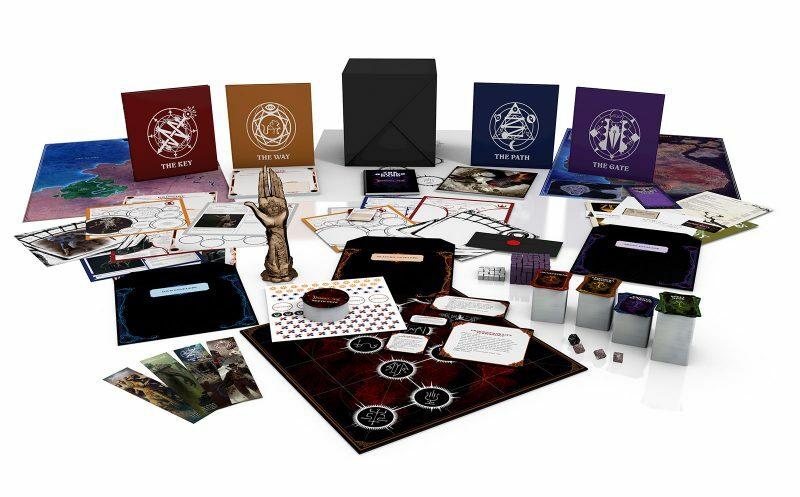 Note: The total page count of 47 pages includes the 19-page adventure and 13-page quickstart rules, plus five double-sided pre-generated characters and a five-page mini-bestiary.